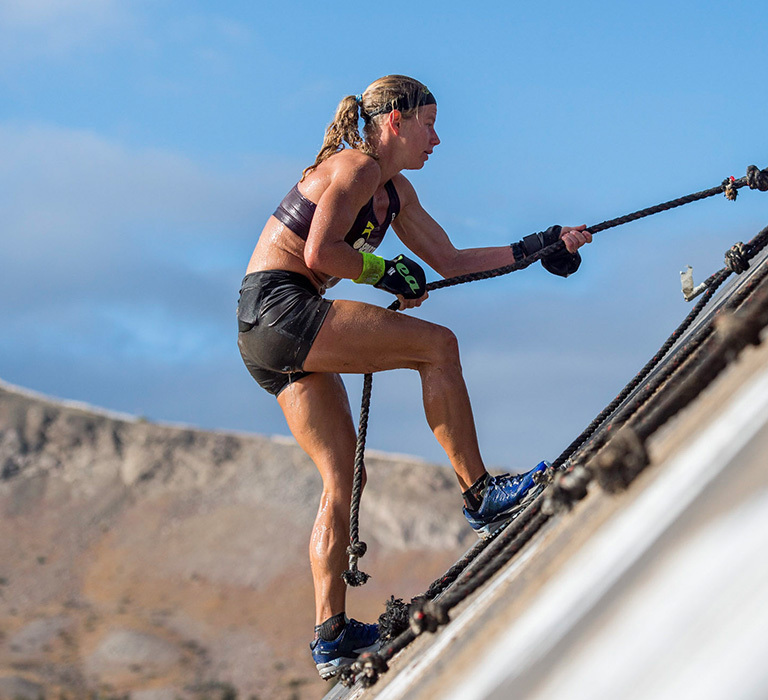 There are two ways to approach a Spartan obstacle: clueless or prepared. The latter means you’ve done your homework. It also means you’re far more likely to avoid the time-killing burpee penalty. And that’s where the Obstacle Specialist Class can help. In the class, 20 Spartans gather to master the sweaty art of throwing spears, climbing walls, and zipping across monkey bars with the dexterity of an actual monkey. The classes started about a year ago in gyms, but they’ve since moved outdoors, to an actual course. And they’ve evolved to tackle the skills that Spartans find most frustrating. “We want each one of the participants to develop a skillset that is going to give them the best chance at clearing the obstacles consistently and under any conditions,” says Kevin Donoghue, a course instructor, Spartan Pro Team member, and two-time captain for the Spartan Ultimate Team Challenge. 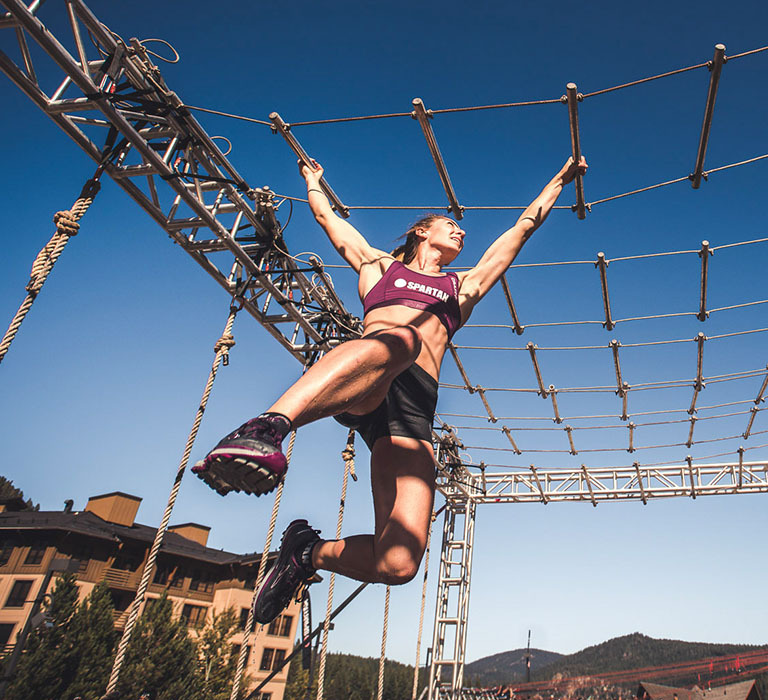 So whether you’re taking on a Sprint or a Trifecta this year, use a few of these key takeaways from the Obstacle Specialist Class instructors and those who’ve taken it. Challenge: Move laterally across an angled wall, using chains, holes, and grips to avoid touching the ground. Tip: Think about your squats. And another thing: Don’t alternate between using chains, holes, or grips. Stick to just one type of hand-hold so you can develop a rhythm that will carry you straight to the finishing bell. Challenge: Hit the bail of hay, and stick it so firmly that the spear doesn’t fall out. Tip: Imagine throwing a football. There’s no substitute for target practice, but even if you haven’t spent hours throwing a spear, you can improve your odds of hitting the bail by focusing on your form. “Stand as strong and stable as you can, holding the spear next to your ear,” says Joe DiStefano, a.k.a. Joe D.I., Spartan’s director of training and sport who created the Obstacle Specialist Class curriculum. If you’re right-handed, start with your left shoulder pointed at the target—imagine a quarter back about to throw a football. Then pivot your body so that your spear-holding hand takes the lead. “Straighten your arm and point your finger at the target,“ says DiStefano. Challenge: Carry yourself the length of a bar that’s spinning like a DNA-style helix. It’s also a good idea to keep your knees and elbows bent to 90 degrees. That will help you swing your bodyweight more effectively and handle the sideways motion necessary to make it to the end. Challenge: Make it to the top fast, and then back to earth without injuring yourself. Tip: S-wrap up, J-hook down. The S-wrap, wherein the rope falls along the side of your body and loops under your foot, transfers maximum climbing power into your legs, so you can save your arm strength. And the J-hook, the one where the rope falls between your legs, lets the rope slide more freely, while keeping your legs engaged just enough that you don’t burn your hands on the rope as you freefall down. Technically the two strategies are interchangeable, but it’s most efficient to use S up, and J down. Challenge: Travel from one end to the other without letting your feet touch the ground. Challenge: Climb the hills while carrying a loaded 5-gallon bucket. When people struggle here, they tend to think it’s because they don’t have enough arm strength. But the bucket carry requires far more aerobic fitness, DiStefano says. So get ready to sweat. Challenge: Clearing the wall, and then coming down safely on the other side. So two rules to follow: One, don’t celebrate too early—the obstacle isn’t complete until you’re safely on the ground. And two, if you have to jump from anything, land properly, keeping your hips square, your feet parallel to each other, and your knees bent slightly. Come down on the balls of your feet (not your heels!) and let your hips sink to absorb the shock of impact. John Lonsdale is a Brooklyn-based writer who grew up in a town of 18 people in the Midwest. He’s previously written for *Men’s Journal*, *Rolling Stone*, and other publications.